A terrible affront to democracy has taken place in full view of Britain’s ‘free press’ and they have turned a collective blind eye. 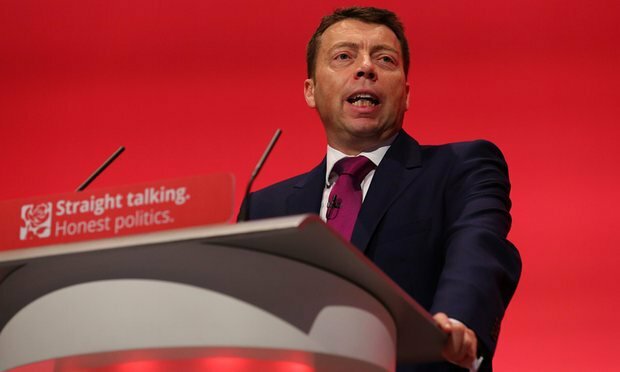 Estimates suggest that as many as 180,000 Labour Party members have been denied a vote in the leadership election, either as a result of suspension or expulsion, or because they joined the Party after January 2015. A further 60,000 simply didn’t receive a ballot paper. It is widely accepted that the overwhelming majority of these are supporters of Jeremy Corbyn. You say moderate party members must sieze the party back from middle class left wingers who see winning elections as a betrayal of their principles. Now how do I say this politely. What a load of tosh! Corbyn supporters want to win elections as much as you do. We simply don’t believe you have to sacrifice your principles to win them. It was that way of thinking that lost Labour five million voters during the Blair/Brown era – which greatly contributed to the rise of the SNP and UKIP – and fanned the flames for a brexit vote. We became the triangulation party, trying to out Tory the Tories on some policies and out UKIP UKIP on others. The public just got confused and gave up on us. Our approach is different. We believe Labour should be a sign post party, not a focus group obsessed, weathervane party, so that every voter in this country knows exactly what we stand for and who we are are standing up for. Prior to the coup, Labour won every by-election and mayoralty it contested, and saw a healthy swing of 8% in the local elections from the GE result. And if you are one of those people who still have faith in polls, we had been on the up in those too. All this, despite a hostile press who revelled in every anti-leadership briefing your colleagues threw their way. Those successes were largely down to inspired Corbyn supporters knocking on doors and manning the phones to sell the Labour party to the wider electorate. So please don’t tell us we don’t want to win elections when we clearly do. What is questionable is how much you want to win elections, because right now it looks like you’d rather sabotage any chance of Labour winning an election if your leader of choice isn’t at the helm. Let’s face facts here: you have been plotting to overthrow Jeremy from day one, if not before. Which means every electoral success we’ve celebrated, you’ve cried over, because it weakened your excuse to have that coup. In the end the brexit vote was the only excuse left to you. And it’s a pathetic excuse too, given the fact two thirds of Labour voters voted remain, many of them convinced by Jeremy Corbyn’s unpatronising honest case for staying in. I should know because I was one of them. I’d been so disgusted by the treatment of Greece I was seriously leaning toward a leave vote. Jeremy changed my mind. If he’d told me Europe was perfect with bells on I’d have voted leave. I needed honesty about the problems in Europe, counterweighted with an argument for solidarity and reform, to convince me to vote remain. But you probably haven’t spoken to many people like me. You’d rather sum us up from a distance because it’s easier to smear and stereotype people you don’t know. Take your strange assumption about us being predominantly middle class. Are you aware that in the last leadership contest, research revealed that Corbyn supporters earned less than all of the other candidate’s supporters? If you want to bring class into it, what class do the MPs so keen to oust Corbyn belong to, on their seventy five grand a year salaries plus expenses? I’d respectfully suggest they are far less representative of the electorate than hundreds of thousands of ordinary people who come from a wide range of backgrounds and earn a wide range of incomes. And even if you are right in your unresearched assumption, and the majority of Corbyn supporters are middle class, isn’t that a positive sign for the future? Isn’t this the group most likely to vote Tory? At the end of the day, growing inequality and austerity is hurting everyone on low and middle incomes. Even people who are reasonably comfortable have children, and nieces and nephews who are being exploited on zero hours contracts, and can’t leave their childhood home because of the shortage of affordable housing. Even those who got their degrees thirty years ago, are angered by a system that sees young people saddled with debt for the same degree they got for free; especially when todays degrees are much less likely to boost a graduate’s life chances. And even middle class people are forced to rely on harassed, underpaid carers to make sure their mum or dad doesn’t end up sitting in their own faeces for hours on end. And it’s often middle class public sector workers who’ve have had their pay and pensions cut to pay for a debt they didn’t create. And many of them care deeply about the environment and people less fortunate than themselves. So it would not surprise me in the least if many of them, recognising the need for real radical change to right these wrongs, supported Corbyn. Instead of being so scathing about Corbyn supporters, maybe you should talk to us and engage with us and actually ask us why we turned our backs on Andy Burnham, Yvette Cooper and Liz Kendall in 2015 and now look set to reject Owen Smith. Maybe you will learn something you didn’t know? Maybe you will stop seeing us as the enemy within, and see us as ordinary human beings who simply want to live in a fairer world. Whatever our class or background, all Corbyn supporters share that hope and aim in common. We just wish you’d listen to us, instead of trying to smear us as either hard left militant trots reawakened from a thirty year sleep, or naive hippy idealists who blame Blair for Labour’s demise, when they should just forget about the demise and focus on the three election wins instead. Sadly, after reading your contribution to the Times, that looks highly unlikely. You’ve set your face against Jeremy and us. You see us as the enemy; which is so deeply tragic because all we ever wanted is your help and support to defeat the Tories. All the anger and frustration you’ve picked up from us since Jeremy won stems from our despair over coup threats and incessant negative briefings. But that anger and frustration would wither away pdq if the PLP threw their weight and support behind the leadership. The overwhelming response to any change of heart would be thankfulness and relief. You only had to see the response to Sarah Champion’s unresignation on twitter to know that’s true. She was welcomed with open arms; her decision celebrated with a heartfelt and spontaneous #welcomebacksarah hashtag which trended for a day. Being realistic, trust has been broken and it would take a very long time to repair, but I’m sure most Corbyn supporters would try to move forward in good faith. We are sick of this tug of war which is tearing our party apart. We don’t want a custody battle over the party’s name and assets. We don’t want to deselect anyone. We just want MPs to respect the mandate we gave Jeremy. It really is that simple. And then we want to turn all our fire on UKIP and the Tories so we have a fighting chance of winning the next General Election. And before you say you want that too and know how to achieve it, I’d say this to you….do you? Do you really know how to win? How for instance, are you planning on winning over Tory or UKIP voters without alienating existing Labour ones? Because I presume you’ve seen the polling data which suggests that Jeremy Corbyn is the preferred leader with 52% of 2015 Labour voters and 66% of current Labour voters when asked to choose between Smith or Corbyn? Were you planning on taking them for granted in your quest for these Tory votes as is the New Labour way? Or do you think they will change their minds once you’ve managed to entice David Miliband back from the States? Because if that’s the case, I think you’ll eventually discover David Miliband is not the panacea you and your colleagues think he is. Maybe you should ask us how to win elections? Maybe we’ve got something to say that might prove helpful? If you asked me, as one Corbyn supporting individual I’d say 1. Have a distinctive, inspiring offer that speaks to the majority. 2. Have an inspired grassroots movement to sell that offer to every household in the country. And 3. Have a unified party. It’s 3 that we are missing and that’s where you come in. You say in your piece you will ensure we never have 3; that your mission is to overthrow Corbyn no matter how long it takes. I hope you reflect on that. I hope you decide the Tories are the enemy, not us or Corbyn. Because that’s the truth. Just talk to us and you might find that out for yourself. If however you decide to go ahead with your plans to break Corbyn through a long drawn out war of attrition, expect our defense of his leadership to strengthen. You see here’s the thing you need to understand fully before you go down that path: when it comes to standing up against injustice, we are as stubborn as mules and tough as old boots.